This pet can only drop from Normal or Heroic difficulty, unlike other companions that come from Throne of Thunder. As of Patch 5.4, players can now win this pet by using a bonus roll (Mogu Rune of Fate) after defeating Primordius. Oozes onto the enemy, dealing 394 Magic damage. The user is healed for 100% of the damage dealt. Splashes the target with corrosive acid, causing 197 Magic damage instantly and 98 Magic damage each round and increases damage taken by up to 39.4 for 2 rounds. Deals 315 Undead damage and plagues the target for 5 rounds. While plagued, enemies who strike the target are healed. Deals 630 Magic damage to the target. Evolve, dealing 591 Magic damage and mutating the user, increasing the damage they deal by 25% for 3 rounds. Magic pets cannot be dealt more than 35% of their maximum health in one attack. /sigh the little girl waits, have been searching for him for a long time. havent seen him on cael ah for a very long time. you will be able to coin roll this one IF you do normal Primordius in 5.4. Coinrolling Primordius LFR in 5.4 may result in a Living Fluid. Finally got mine via trade! Already in one night he's 11 ;) Strong pet! I read in 5.4 he's going to be a coin roll! Also base quality needs to change to rare. Ive heard rumors that you will be able to coin roll for this in lfr in 5.4 can anyone confirm? Wondering if logic follows this blue post that this pet should be able to be coin rolled off any boss in regular in 5.4 or is it not changing at all? "Any Battle Pet that could be awarded from a Throne of Thunder boss on Raid Finder difficulty can now be won from a bonus roll, in addition to the standard bonus roll reward." These are on AH but the price is not cheap, I have only seen this pet on my AH on Stormrage sever which is a major Alliance servicer only THREE times. I seen it for 95,000 and 120,000 and I just bought mine on AH this weekend for $ 100,000. So if you do not want to farm this, plan on spending some major gold. I have yet to see a Viscous Horror for sale on my realm(lightbringer), and on about 10 others realms I checked. I've been saving gold to buy it and there is none for sale! 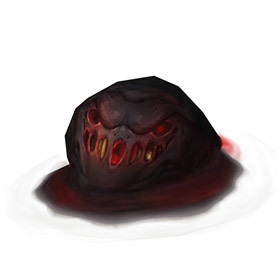 These malicious oozes are highly sensitive to Primordius' pheromone signature.